Providing you the best range of heavy duty tension springs, industrial tension springs and tension springs with effective & timely delivery. 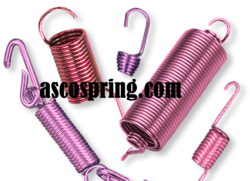 Asco provide best quality of Tension Springs, we manufacture tension spring, which is very much comparable and long lasting. Bar Dia. - Upto 40mm. Out Side Dia. - Upto 250 mm. Total Length - Upto 1200 mm. 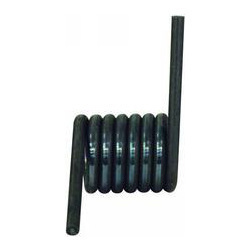 Total Coils - As required in closed condition without any gap. We are a quality centric entity, engaged in offering its clientele, a wide array of supreme quality and a durable range of Industrial Tension Springs. 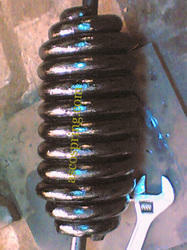 Based in Kolkata, India; we are a protuberant Industrial Tension Spring Exporter. Bar Dia. - Up to 20 mm. Out Side Dia. - Up to 200 mm. Total Length - Up to 1000 mm. 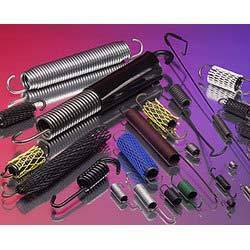 We provide best quality of Tension Springs, we manufacture tension spring, which is very much comparable and long lasting. Bar Dia. - Upto 30mm. Out Side Dia. - Upto 220 mm. 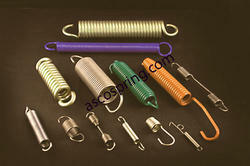 Product Specification : Manufacturer & Exporter of Tension Spring for Machinery & engineering application. Bar Dia. - Upto 12 mm. Out Side Dia. - Upto 200 mm. Total Length - Upto 1000 mm. Raw material - All suitable quality Spring Steel. We are a quality centric entity, engaged in offering its clientele, a wide array of supreme quality and a durable range of Tension Springs. Our offered range of tension springs owns high durability and resistance to the applied pulling force, that can absorb and re-posit abundant energy for a long duration. We are an experienced and professional manufacturer and render these products in various lengths, degrees of tension, sizes, shapes and specifications as per client's requirement. Capacity Bar Dia. : Up to 12 mm. Out Side Dia. : Up to 200 mm. Total Length: Up to 1000 mm. Looking for Tension Springs ?